So you've got left over mashed potatoes? 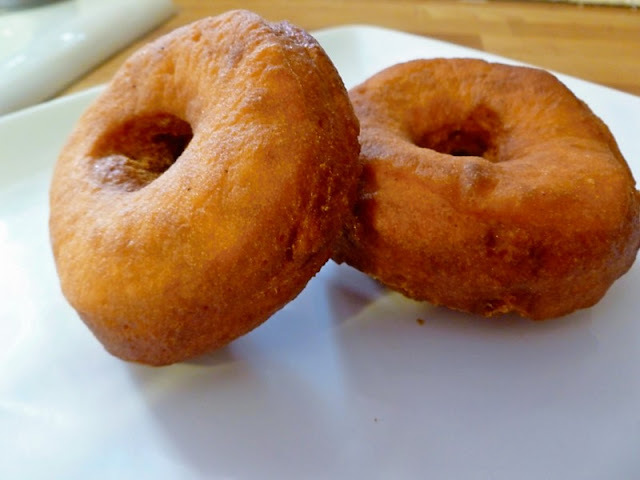 Don't toss them...make doughnuts! You think I'm crazy, I'm not. I have yet to find someone who haven't drooled over one of these warm. This recipe is from ages ago, it was passed to my mom. She used to make them for us on special occasions. Now I carryout the tradition. Add 3 cups flour to make a soft dough. Knead 2ish more cups of flour. Let stand 10 minutes. Roll, cut out, fry in the fry daddy. Yum. lol! i ate 3 munchkins. delish! thank you very much!